Jahana Hayes speaking on WNPR's "Where We Live" after winning the National Teacher of the Year Award in 2016. 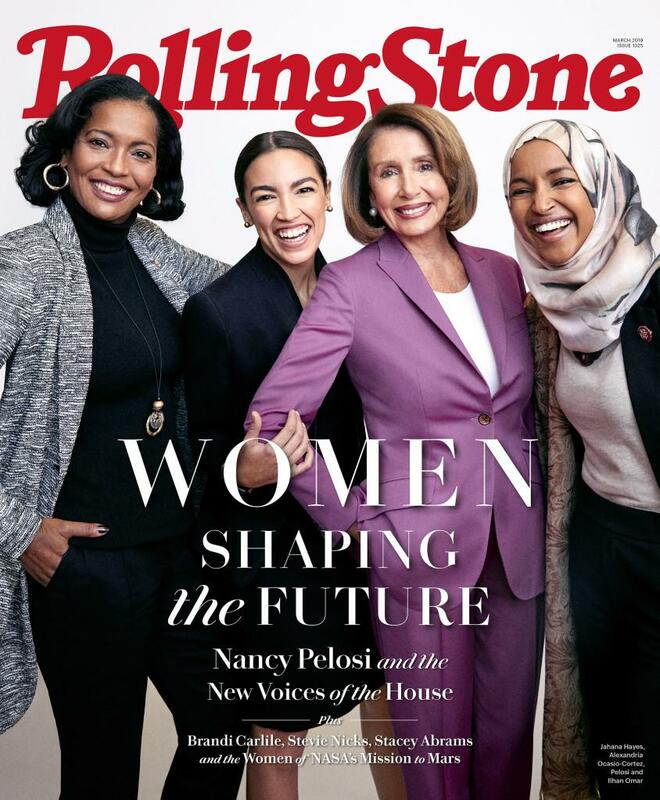 Reps. Jahana Hayes, Alexandria Ocasio-Cortez, Speaker Nancy Pelosi and Rep. Ilhan Omar, on the cover of Rolling Stone's March, 2019 issue. "There's been a lot of attention that I don't think I was prepared for." Ana Radelat, Washington reporter for CTMirror.org, talks with Connecticut Public Radio's Diane Orson about the first 100 days in Congress for Rep. Jahana Hayes. Hayes won the seat of retired Rep. Elizabeth Esty, a Democrat whose politics were more moderate and business-oriented. House Majority Whip James Clyburn, D-S.C., the highest-ranking African-American in Congress, became aware of Hayes because of a controversy at the 2018 5th District Democratic convention. 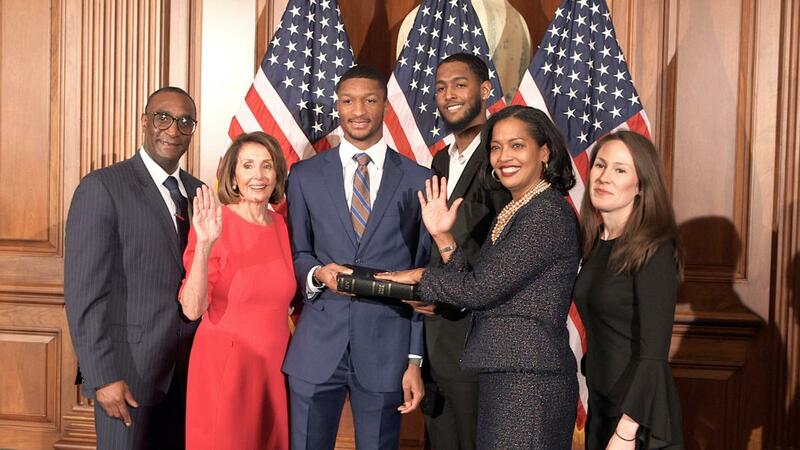 Rep. Jahana Hayes (second from right) at a ceremonial swearing-in ceremony.